Barbados - 1 person likes this. Want to see the best of Barbados? Then check out the Best of Barbados Land & Sea Tour. On this tour visitors will visit Harrison's Cave, the East Coast, the Wild Llife Reserve and enjoy a boat cruise to swim with the turtles. Escape from the stress and frustrations of work by having a Best of Barbados Land & Sea Tour and get to see some of Barbados’ best attractions on land and on sea. Share this wonderful experience with the family and together you can enjoy the sights of Harrison’s Cave, the East Coast, The Wild Life Reserve and much more. Best of Barbados Land & Sea Tour is that perfect tour for the whole family where you can join in with fun activities like swimming, snorkeling, and a little bit of hiking. See the beauty of the caves and get to know why it’s one of Barbados’ best attractions. Have the chance to see the famous Barbados’ green tail monkeys or simply have a relaxing beach time on the beautiful Paynes Bay. 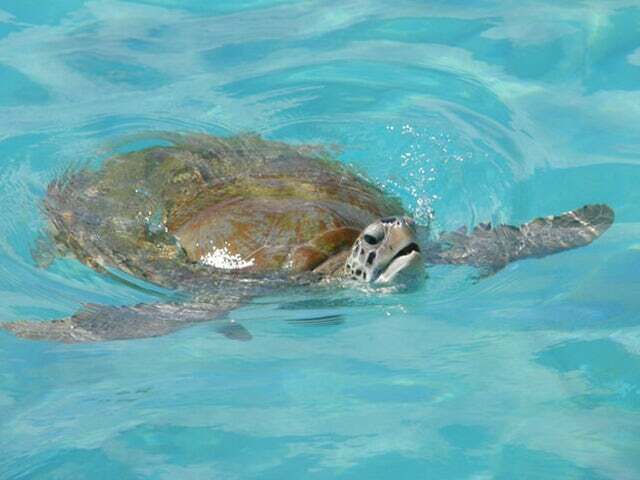 You will also have the chance to swim with the turtles on a boat trip later on. Having a friendly and knowledgeable guide is one of the perks of a perfect vacation, and on this tour, you will have just that. Call us now and experience Barbados the right way with Best of Barbados Land & Sea Tour!